Vinyl and Octavia make cardboard box forts and take the holy land back. Gilda makes a deal to help with her love life, but is transported to Earth with one problem; if she falls in love, she dies. Vinyl meets Octavia's parents on New Year's Eve. There's also ninjas involved. A peak into the future of the Deadlyverse. Where it is about a year into Vinyl and Octavia's time together as partners. Don't worry about spoilers because there basically isn't any. Able to be read without reading Deadly Love. Starlight and Trixie get drunk on Hearth's Warming Eve and complain about their problem with towns and the unwillingness they have to be taken over, among other unrelated things. Rainbow Dash and Soarin find out mornings are something they need to outlaw, especially Monday mornings. 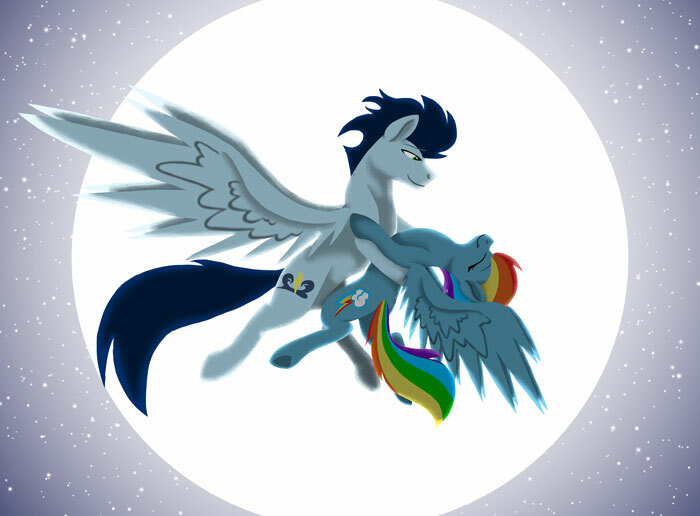 Rainbow Dash and Soarin go for a flight at night, spending some quality time with each other. Shinning Amour and Cadence argue on what to do with Flurry Heart and her cold. Vinyl and Octavia go on a road trip. Kinda. Octavia is losing her classical mojo, causing her producer to try somewhat of a last ditch effort and pair her with a composer of a different kind of music. She later finds out that they too are losing their motivation, but also something a little more important. Vinyl and Octavia get candy from their friends on Nightmare Night. A fun one-shot for all the spookiness to come!